Katja Gerasimova takes us on a journey to the desert in this collaboration Tattoo Collection stamping plate. Cacti, skulls, suns, moons, and dreamcatchers capture the beauty of desolate landscapes. Her gorgeous, highly detailed line-work will help you achieve intricate manicures no matter how you wear them. 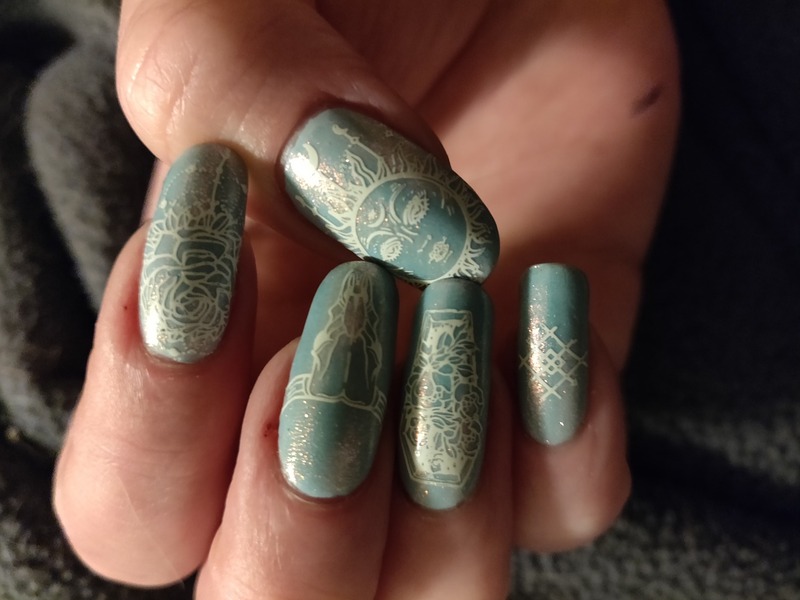 Stamp any of Katja's?11 designs over a base color for?nail art that's simply amazing or reverse stamp with an entire spectrum of stamping polishes for your own creative touch. ?No matter what you decide to create, we know you'll achieve amazing results with our premium quality stainless steel and precision laser engraved images. We love to hear from you! Show us your beautiful manicure, give us a shout out?on Instagram, and let us know what you think in the review section?below!? BMC x KATJA G: Katja’s art is high in demand, and we’ve got some of best designs here for your nails. IMAGINE THAT: Explore your creativity with suns, moons, skulls, and cacti. DREAM BIG: This XL stamping plate (4.75x2.4in) features 11 gorgeous designs. SPACE OUT: Just scrape, stamp, and swoon for detailed manicures. Etched nice and deep so stamping was a breeze! Beautiful designs that came out crisp and clear. Love! The designs in this plate are quite big. Need some more video tutorials, the plates stamp very clearly.